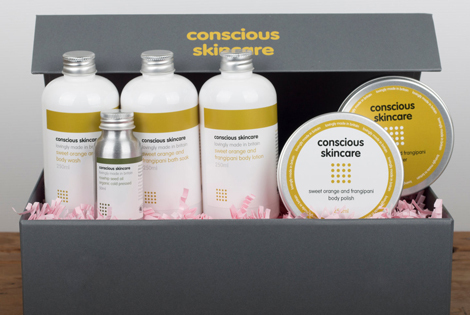 Rebecca Martin, founder of Conscious Skincare – a Welsh, award-winning organic skincare brand discusses why animal protection is at the heart of their philosophy. I remember vividly the moment when I first learned about vivisection. I was 13 years old, sitting on the bus to school when my friend told me about her dad who worked at a large chemical company. My eyes widened in total disbelief, as they still do now, some 36 years later when I see that animal testing is still being carried out, like some macabre Victorian pastime. Back then, after the initial shock, I began thinking about vivisection and finding out what I could about it. There was no ‘OK Google’ back then but libraries and a phone book. As an avid animal lover, the whole concept was abhorrent. I also understood though, that not all people cared for animals like I did and so I looked at the whole vivisection question from another angle; relevance and logic. I could understand how, in the absence of technology and understanding, vivisection and animal exploitation came into being. After all, we humans are great at exploiting and torturing one another so animals didn’t stand a chance. But I could not understand how, in the 20th century, animal testing was still going on. If scientists were as ‘scientific’ as they lead us to believe then, how, for example, can creating a cancer cell artificially in an animal and then finding a cure for the mouse help a human? You’ve found a cure for an artificially created cancer cell in a mouse; well done but this does not translate through to the human model; 2+2 does not equal 4 in this instance. I became a vegetarian in the early 80s and when I first started to think about Conscious Skincare, way back when before it even had a name, it was a given that there would be no place for slaughterhouse by-products in our products. Plants offer such a wealth of key actives, readily absorbed into the skin so naturally, we include many of them in our formulations. We use vegan versions of collagen and hyaluronic acid for plumping and toning in our Rejuvenate range creams which deliver fantastic, award-winning results. We don’t use palm oil or its derivatives in any of our products and try to raise awareness of the plight of orangutans. We see no reason why our products should not be as good or better than the mainstream and see no need for compromise. Our standards have been rewarded too with a fantastic collaboration with The Royal Ballet, London to release a range of co-branded products. For an avid dance lover like myself, how good is that? It was a given that ingredients and finished products would never be tested on animals. Animals don’t use cosmetics so where would be the logic in that? We make sure that our suppliers have the same ethics that we do and we look for validation and certification to evidence this. We do not sell nor allow our products to be sold in countries where animal testing is mandatory. We see many of the big mainstream companies lured in by the big profits with no regard whatsoever for the animal cost. We put animals before profit and continue to reject business opportunities in those countries. We may not be millionaires but at least we can sleep at night. It was however, really important that people knew how we felt and could distinguish us from the mass of other brands out there and understand what we’re about. It’s a minefield for consumers mesmerised by mixed messages, misleading packaging, lots of ‘unsaids’ and little idea of who owns who out there either. I meet people regularly who are totally unaware of the L’Oréal / Body Shop connection or the Liz Earle / Avon / Boots connection. Hence, approvals and certification from key organisations such as Naturewatch Foundation were critical to help get our message out there and to reassure people of our values and ethics. Equally, consumers can end up buying something that has been tested on animals, contains animal-derived ingredients or the parent company is an avid animal tester. So it continues to be a minefield out there but Naturewatch Foundation’s unique Compassionate Shopping Guide means consumers have a reliable and dependable information source. It covers lots of different categories to help you to navigate your way through the messy and complex market place. And, as Conscious Skincare, a British organic skincare brand who practices what it preaches, it is one of the key places we firmly believe we should and will always be seen.